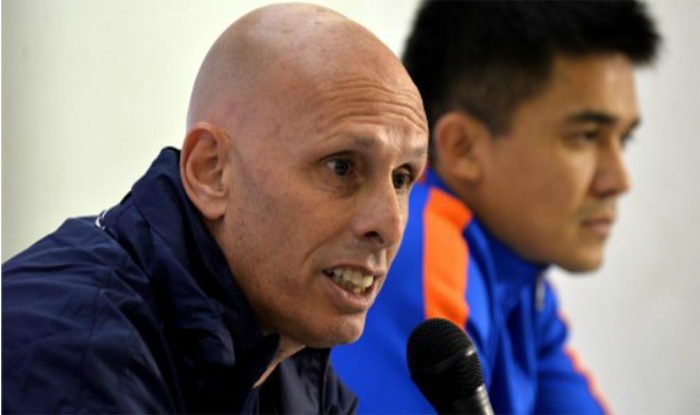 Stressing that India has the potential to win and enter the knockouts, football coach Stephen Constantine Friday said the team needs to get its act together ahead of the clash with Bahrain in the AFC Asian Cup. India went down to hosts United Arab Emirates 0-2 in their second group stage match after they had defeated Thailand in their opening game. “We have to pick ourselves up and get ready for the next game. We need to aim for a win and get something from that game. Hopefully, we can get the result to qualify,” Constantine said. India faces Bahrain on Monday in their final group stage match and a victory will ensure the Blue Tigers a spot in the Round of 16. Talismanic striker Sunil Chhetri also echoed Constantine’s words. “We are still in the running. We are ready to face Bahrain. As a team, we are united. We are ready to fight. That’s our game plan against Bahrain,” Chhetri said. “We are only going to get better with these kinds of games. The team has an average age of 25. The players will get only better from here. We had four clear chances to score but UAE scored with the half chance they had,” he said. Skipper Chhetri added: “It was a tight game. If we could have taken our chances it could have been different. UAE are a good side, and they converted their chances.